The network expansion and upgrade plays into Vodafone Germany’s aim to become a “leading converged communications operator” in the country. The operator said its enterprise-focused unit will bring fiber connectivity to 100,000 companies across 2,000 business parks at a cost of around €1.4 billion to €1.6 billion. Vodafone Germany’s consumer operation, it said, will fork out €200 million to €400 million to expand its fiber network to reach 1 million homes in rural areas. The overall scheme will include €200 million invested into upgrading existing cable infrastructure to deliver gigabit speeds to Vodafone Germany’s cable base of 12.6 million. The company’s fixed unit contributed 40 percent of service revenue in Germany in the opening quarter of its financial year, contributing €1 billion in quarterly earnings, according to Vodafone’s Q1 fiscal financial statement covering the three months to end June. The investment is Vodafone’s largest since its £19 billion ‘Project Spring’ investment, a two-year strategy to improve its mobile infrastructure. The operator’s presence in Germany’s broadband market grew when in 2013 it acquired the country’s largest cable operator Kabel Deutschland for €7.7 billion. The Jordanian region of Saraya Aqaba is the first in the country to get Fiber-to-the-Home (FTTH) connectivity. The luxury mixed-use tourism and leisure destination located on the shores of the Red Sea in the Gulf of Aqaba in Jordan was fitted with the infrastructure by R&M, A Swiss producer of products and systems for communication and data networks. The undertaking by R&M will allow more than 800 residential units and commercial establishments to enjoy high-speed connectivity and the latest triple-play services from telecom operators. Saraya Aqaba covers over 634,000 square meters, features residential units, premium five-star hotels, several entertainment outlets, state-of-the-art business facilities and a Souk. The deployment of R&M’s cabling solutions was executed by Optimiza, the cabling vendor’s systems integrator partner in Jordan. With the ability to provide Gigabit connectivity, FTTH opens up a range of possibilities. Among these are triple play services - the packaging of voice, high speed internet, and television as a combined offering from a single telecom provider. Convenience and safety are also top priorities for the developers of the mega-project which is why vital services such as fire alarms, CCTV, intercoms, and access control will all be connected to a centrally managed system via the secure FTTH network. As this is the first FTTH project in the country, the project’s consultants were keen on leveraging the expertise of qualified experts for the undertaking. Having successfully delivered many such projects in the UAE, Saudi Arabia, and Oman, R&M had an impressive list of regional references and was qualified to provide the technical expertise and guidance necessary through the design, deployment and testing phases. Product quality was also a major factor in vendor selection as the network had to meet present and future requirements. “Today we provide 10GbE connectivity over this network, but thanks to the quality and capabilities of the solutions we have invested in, we can increase this speed by a factor of four without having to make any changes to the cabling infrastructure,” explained Raed Al-Omari. Optimiza has utilized R&M’s Cat. 6 copper cabling system for a horizontal cabling system. The entire compound is networked by FTTH using GPON technology whereby every subscriber has broadband-ready connectivity. The deployment has also entailed the use of specially customized Smart Home cabinet solutions from R&M, housing copper, fibre optic as well as the ONT equipment from the service provider on all customer premises. “R&M is proud to add another high-profile city development project to the list of FTTH successes. 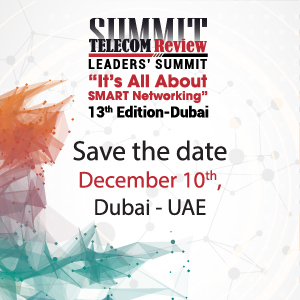 With the advancement of technology in the Middle East and the tech-savvy nature of consumers, FTTH is the clear way forward to meet growing expectations,” said Mohammad Sweidan, Area Director - Africa, Levant & Kuwait at R&M Middle East, Turkey and Africa. Smartphones are now in 80 percent of U.S. homes – a six percentage point increase year-over-year (YOY) – and U.S. consumers now own 27 million more smartphones than they did just last year, according to new research from the Consumer Technology Association (CTA). CTA’s 19th Annual Consumer Technology Ownership and Market Potential Study also shows televisions remain the most popular technology device in the U.S., as they have for decades – almost every household (96 percent) owns at least one TV. Additionally, from 2016 to 2017, the U.S. market saw an increase in the overall installed base of connected devices including smart home devices, smart TVs, wearables and wireless speakers. “Connectivity – the anytime/anywhere access to information and entertainment we now expect – is a driving trend of our time, supported by the continued growth we’ve seen in smartphone ownership,” said Gary Shapiro, president and CEO, CTA. “Three of the top five most frequently owned technology devices are products with screens – televisions, smartphones and laptops – and those numbers will continue to grow as one-third of consumers tell us they’ll buy at least one smartphone in 2017, and one-fifth say they plan to buy a television or laptop in the coming year,” said Steve Koenig, senior director of market research, CTA. Smartphones and in-vehicle communications/safety systems saw the largest gains in household ownership among connected devices – both increasing by six percentage points YOY. Almost half (45 percent) of U.S. households now have at least one vehicle with a driver-assistive safety or communication system such as back-up sensors, rearview cameras or hands-free calling. Smart home devices, smart TVs, smartwatches, wearable activity trackers and wireless speakers each saw an increase in household ownership of four percent YOY. Among emerging technologies, 4K Ultra HD (UHD) television is enjoying the fastest growth in ownership. CTA’s research analysis shows 16 percent of U.S. households now own a 4K UHD TV – up nine percentage points YOY – and 11 percent of U.S. households plan to purchase a 4K UHD TV in the coming year. Other emerging technologies expected to experience significant YOY ownership growth in the year to come include voice-activated digital assistants, drones and virtual reality headsets. The 19th Annual Consumer Technology Ownership and Market Potential Study ascertains ownership and purchase intent of consumer technology products among U.S. households across various categories. The report was administered via a dual-frame telephone interview to 2,014 U.S. adults between Feb. 2-13, 2017.